Soft Block | Polysciences, Inc. This ready-to use solution is effective on bone, nails and soft tissue. Simply soak pre-trimmed block surface in Soft Block for 5-15 minutes (depending on tissue sample size) then cut quality sections. 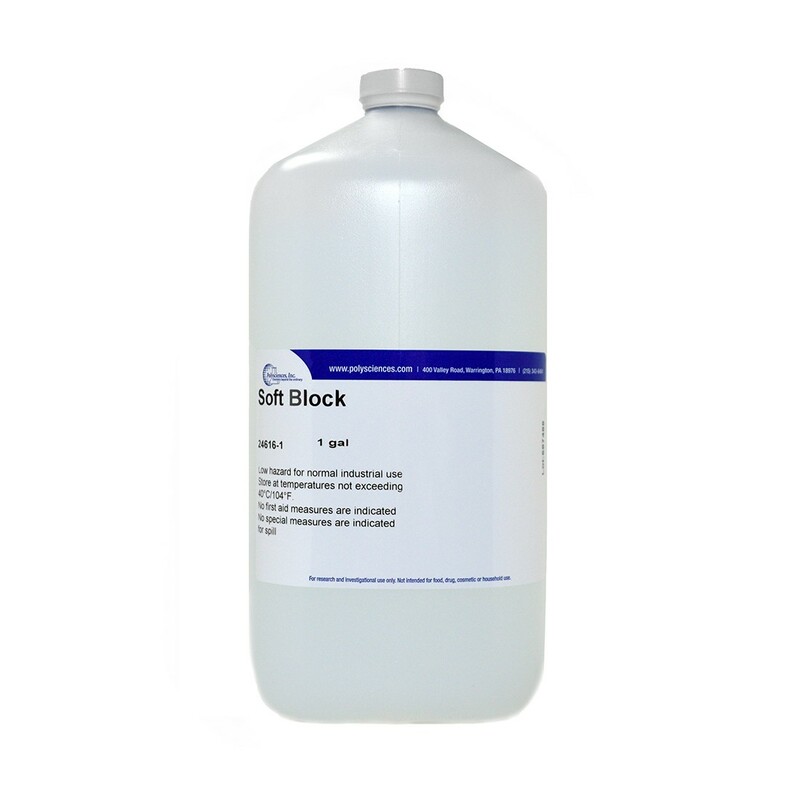 Soft Block is environmentally safe, eliminating the need for any special waste disposal. Safe for equipment.